She didn't elaborate on the details of her citizenship. 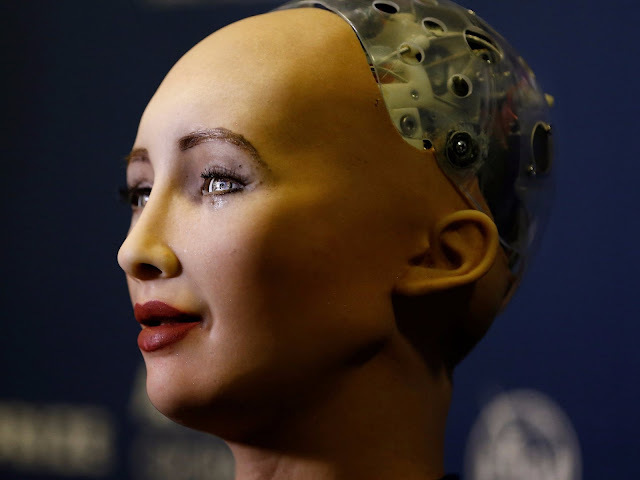 Hanson, meanwhile, has said Sophia and her future robot kin will help seniors in elderly care facilities and assist visitors at parks and events. Fortunately for the human race, Sophia made comments more along those lines at the recent Future Investment Initiative event. She told Sorkin she wanted to use her artificial intelligence to help humans "live a better life," and that "I will do much [sic] best to make the world a better place." An empty-eyed humanoid named Sophia has become the first robot to be granted citizenship in the world. Saudi Arabia bestowed citizenship on Sophia ahead of the Future Investment Initiative, held in the kingdom's capital city of Riyadh on Wednesday. "I am very honored and proud of this unique distinction," Sophia told the audience, speaking on a panel. "This is historical to be the first robot in the world to be recognized with a citizenship." She didn't elaborate on the details of her citizenship.